Dunta Robinson looks for something to hold onto while he and the Falcons defense weathered the Seahawks storming back in yesterday’s divisional playoff game. In earning their league-best 14th win of the season and notching the franchise’s first playoff victory since 2005, the Atlanta Falcons proved that no team in the league takes more care to ensure that their vanquished opponents feel good about themselves. After the game, all Russell Wilson could talk about was how excited he was for next season. The Falcons didn’t demoralize the seemingly unflappable rookie QB, they emboldened him. Whoops. At halftime, it appeared that the Falcons, which in three of the past four seasons have come up small in the playoffs, were about to have their coming out party. 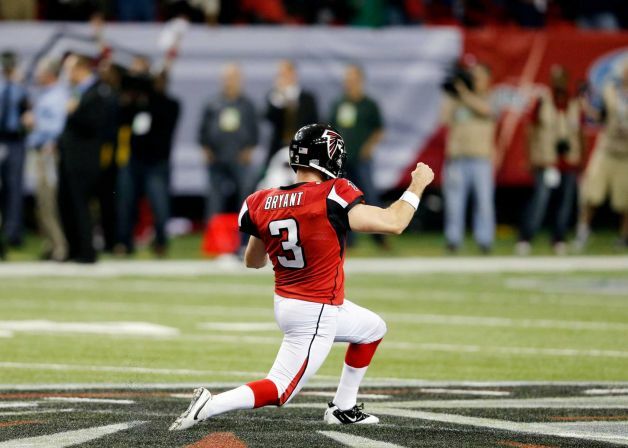 But, by the fourth quarter the Falcons that we fans have been in an unhealthy relationship with for decades reared their heads, proving incapable of picking up first downs on offense and not surrendering them on D. They won the game on thanks to a drive authored by the aptly named Matty Ice. Great, but, c’mon man, we had a 20-point lead at home with 15 minutes to play? A win’s a win, I know, but when you play the Falcons, the NFL’s most considerate franchise, the door’s always open—both to you stealing a win and to the Dirty Birds coming up small. Against Atlanta, the Seahawks came up small in many ways today. Like the entire first half. And the Marshawn Lynch fumble. And that 4th and 1 play selection. And their disorganization after that sack. And, in the end, they came up small with just 25 seconds to spare. Just a few short months until pitchers and catchers report. The Redskins and Seahawks face off this weekend in a clash of ComingUpSmall mainstays. One will come up small. There are any number of ways to attempt to glean the outcome, including Las Vegas lines, past meetings (see: The Skins Love Losing to the Seahawks, below), road and home records, etc. We present to you, reader, an alternative means of judging Sunday’s contest. Worlds collide this weekend when the Washington Redskins host the Seattle Seahawks in the first round of the playoffs. One of those teams will come up small. And the good money is on the Redskins again disappointing ComingUpSmall colleague Washdz. Combine the Seahawks’ recent scoring proficiency — 170 points in four games — with their maturing defense, and factor in Robert Griffin’s sore knee and one can expect some sad faces in Raljon, MD. Squawks fans are understandably thrilled with what has turned out to be their best season in recent memory. They are on the precipice of the postseason and are not pushovers, having beaten heavyweights Green Bay and New England. The Seahawks have gotten this far on the strength of their defense. But the league has suspended cornerback Brandon Browner for the final four games of the season, which includes a crucial home game against the 49ers, for testing positive for attention deficit disorder drug Adderall. Here’s the rub: Richard Sherman, Browner’s fellow cornerback, may be out too for taking the same pills. That leaves some big holes in the secondary. If the Hawks can get into the postseason Browner can return, but the trip to get there will be that much harder. Reporter: Are you 100% convinced it was a clean touchdown, no controversy? 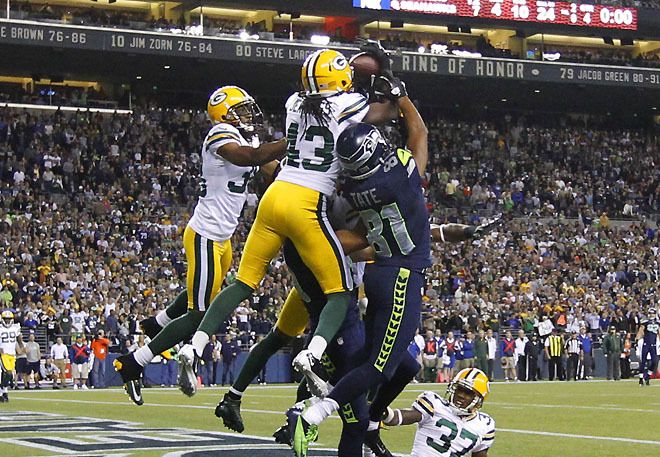 A Seahawks victory can spell only one thing for opponents’ fans: shame. Here, Dallas Cowboys superfan John Shango, dismayed by a 27-7 loss to Seattle on Sunday, drags the Browns and Dez Bryant through the mud (01:31).